The best comics news of 2016 was announced earlier this week: Yen Press announced they'll be publishing the 13th volume of Kiyohiko Azuma's Yostuba&! in English this May. Many Yotsuaba fans -including (especially) myself- were hoping for exactly such a quick turnaround after book 13 was released in Japan in November last year. It's been a bit of a wait (a wait that always feels longer when it's something you enjoy and anticipate): that marked a 2 year gap between collections, with volume 12 published in Japan in November 2013. As far as I can establish, that seems to simply be down to Kiyohika Azuma producing story 'chapters' at a more leisurely pace; the chapters essentially read as individual stories, and are serialised in monthly magazine Dengeki Daioh before being collated for book publication. Yotsuaba&! follows the everyday adventures of a 5 year old, green-haired girl, who lives with her single father. The cast of the comic is bolstered mainly by the three daughters of the family next door where she spends a lot of time, and also by Yotsuba's dad's friends: the very tall and aptly-nicknamed Jumbo, and Yostuba's mortal enemy, the younger Yanda. There are many 'slice-of-life' mangas, but a recent re-reading of the series confirms Azuma's Yotsuba as truly special. 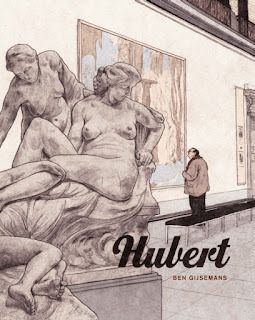 It's one of those very few comics where the tone, pitch, characters, pacing, writing, and cartooning all coalesce in a reading experience that's so completely fluid and natural that it's unquestionable. To make the mundane interesting is a tough task; to make it immersive and joyful yet still believable is masterful. 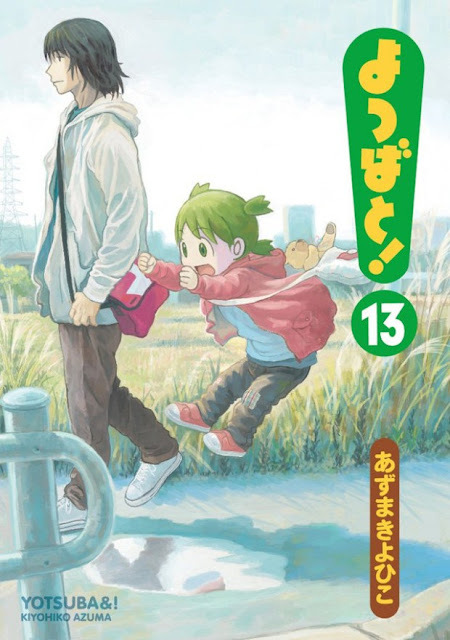 The tilt of 'see how wonderful the small things in life are through a child's eyes' could so easily tip into the twee and trite, but Azuma avoids this through sheer strength of writing: Yotsuba is unassailable. And it's incredibly funny: how often is something still laugh-out-loud worthy the second time around? Azuma's cartooning is really, really good, too- this is most evident in the way he conveys changes of expression- a sequence in which Yostuba breaks something and her expression moves from sweaty guilt to shifty-eyed evasion to outright panic, via a few panels and an alteration in brow lines, is superb. Ultimately, though, Yotsuba is joyous. As much as art hopes to elicit a reaction from the reader, to actually, honestly *feel* something from a work is rare. That that emotion is a positive one simply makes it all the more special. Ostensibly, what I'm saying is: this comic will improve your life. Get on to it now for instant results. Labels: Kiyohiko Azuma, Yen Press, Yotsuba, Yotsuba&! I don't know if it's because I have an eight and a three year old daughter, but Yotsuba is an emotional bullseye for me. Looking forward to it, to say the least.